pub in the village of Reed in Hertfordshire. The Cabinet is a Grade II listed building, the last pub in the village, and the only pub in the country bearing the name. Reed is a lively and expanding community, and the closure of its pub has been deeply felt not only by village residents but also by the many customers who used to travel to frequent this beautiful and successful pub. The Cabinet, although a viable business, closed in 2011 after substantial funds were misappropriated, leading to the bankruptcy of the publican. It was registered as an Asset of Community Value (ACV) soon afterwards (and was re-listed in 2019 so its ACV status will now last until March 2024). Despite approaches to the then owners by various financially credible parties to buy or rent it to run as a pub, it remained closed until 2015, when it was sold at auction to the present owner, a property developer, at a price significantly higher than its value as a pub. The developer turned it into a house without planning permission or listed building consent. Notwithstanding complaints from neighbours and from the Parish Council, the planning authority, North Hertfordshire District Council, took no action to protect The Cabinet from these damaging alterations. When the developer applied for planning permission and listed building consent retrospectively, it generated a huge public response. 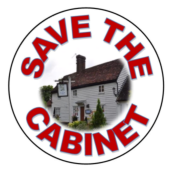 Some 90 written objections were submitted, and the Save the Cabinet Action group was formed to co-ordinate activities to save the last pub in Reed. On 20 July 2017, elected councillors at North Hertfordshire District Council refused planning permission for change of use. The original listed building application has yet to be determined. A new, retrospective listed building application was submitted a few days before the change of use decision. The developer’s appeal against refusal of permission for change of use was heard by way of a Public Inquiry on 6-8 November 2018. The appeal was dismissed on 10 December. In February 2019 the developer submitted new planning and listed building applications designed to split The Cabinet in two, three rooms of which would be a small pub, while the lion’s share would be a house. Both of these were refused at the beginning of April. The Action Group still needs to raise funds to help meet the costs of resisting the appeal and the latest planning applications which were seen as a “trojan horse”. Please help if you can. You can donate online here or read more about supporting the campaign, including other ways to donate, here. Help save The Cabinet by playing golf! village of Reed in Hertfordshire. 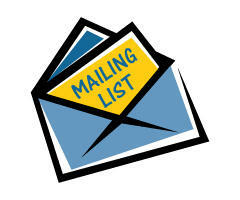 Visit our sponsors! Click here.